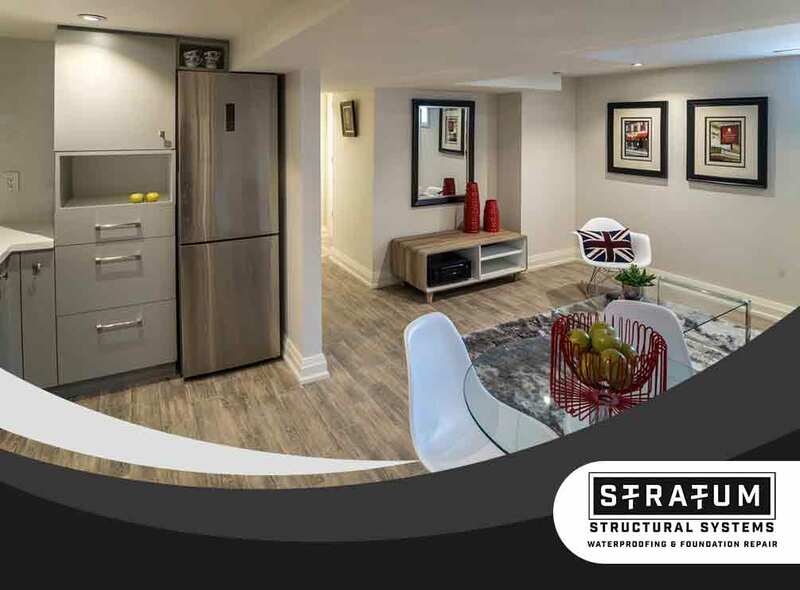 Stratum Structural Systems, one of the top local basement repair contractors in the area, provides a simple guide to help you get through with your basement remodeling plans. One of the basic components of any home remodeling project involves setting up the budget. Some homeowners may be able to pull off such a project out of their savings, but most will have to finance the project. Regardless of your choice, it is important that you prepare for it. Your budget should cover everything, including unforeseen repairs. Basement remodeling may involve you being required to obtain permits from your local building inspector. This is necessary especially if the project calls for changes in plumbing or electrical systems. Doing so helps you avoid fines and other inconveniences along the way. Part of the basement remodeling effort involves making the ceiling, floor and wall new again. Aside from choosing the right lighting and flooring material, it would also make sense to install egress windows. As your egress window repair pros, we recommend including them in your project plans to ensure you have the means to escape in case of an emergency. These units must be up to code, meeting strict measurement requirements. Together with your decision to pursue a remodel, it is also important that you are aware of the potential consequences of this project. An additional living space in your home may result in a higher assessment and subsequently higher property taxes. Despite this, more usable space in your home is always good for resale and a sound investment. For basement and foundation repair needs, turn to Stratum Structural Systems. You can rely on us to fix your wet basement or settling foundation. Learn more about what we do by calling (314) 669-3030. You can also fill out our contact form for a free consultation.